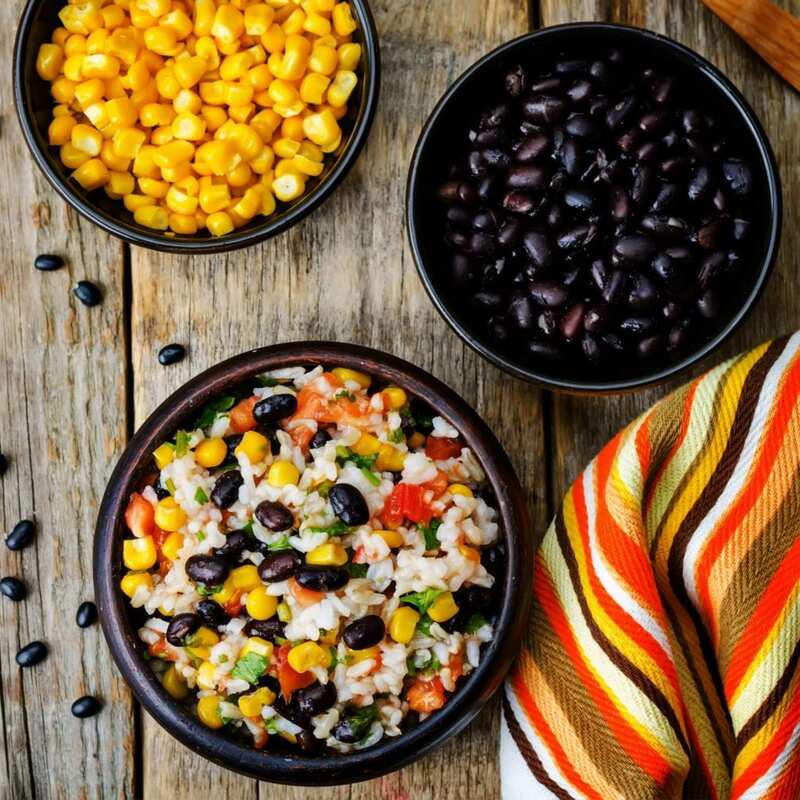 It’s hard to beat rice and beans for a simple, nourishing, meal for the whole family. I love the fact that you can easily tweak the dish to make it appeal to more or less sophisticated palates. Start with a salad and end with fruit, and you’re living the new Canada Food Guide! .I am grateful to our nanny Paula from El Salvador (and our first nanny, Patty) for introducing our family to this dish and teaching us how to make the real deal! 1 cup dried black beans (or 1 can in a pinch). More for leftovers! Soak beans in a generous amount of water (double the amount of water). Soak overnight in cold water or ‘quicksoak’ by boiling water and let sit for 1-2 hours. Replace the soaking water with fresh water. Be generous – roughly double the amount of beans. Bring to a boil, then turn down to simmer. Beans will be done in around 2 hours. While beans are cooking, prepare the rice according to the package. Be sure to let the rice ‘rest’ once cooked. Add the basic flavours – garlic and salt. Throw in few whole cloves of garlic to the pot while it simmers. Add either ~1/2 tsp salt per cup of beans or use veggie bouillon for extra flavour. Add optional spices (cumin or cayenne). Combine rice and beans in your desired ratio. My kids like about 2/3 rice and 1/3 beans. Garnish as desired. My toddler like it as-is or with a bit of extra oil or margarine . My son likes a touch of tomato paste or ketchup. They all love simple, nuked frozen corn. The adults love cilantro and fresh salsa….